Construction of the Haw Phra Bang was ordered by the royal family of Laos in 1963 as a properly grand and royal home for the country's most important Buddha image, but was promptly halted when the Kingdom of Laos fell to Pathet Lao Communist forces. The temple was abandoned, and construction wasn't renewed until the 1990s. The Haw Phra Bang temple was finally finished in 2006, and the Phra Bang Buddha image was moved to its present place of honor. Architecturally, the Haw Phra Bang is one of the finest examples of Lao temple architecture, designed to incorporate all of the features of the country's grandest temples. The temple is constructed with a steep, sweeping multi-tiered roof and embellished with intricate glass and gold features. Temple motifs display scenes from the lives of the Buddha and from the Ramayana. Hanuman, the Monkey King from the Hindu epic is featured prominently. Another prominent motif is the naga, the mythical multi-headed and fearsome serpent that is said to have sheltered the Buddha as he meditated, and which local traditions say dwell deep beneath the rivers of Luang Prabang. The Haw Phra Bang, which literally means "Home of the Phra Bang", was constructed to house the royal Phra Bang Buddha (ພະບາງ), considered the holiest and most important Buddha image in Laos. The Buddha, an 83-centimeter tall standing Buddha, is cast from thong, an ancient alloy of gold, silver, and bronze, giving it its iconic dim golden color. The Buddha stands, eyes closed, with both hands extended in the position of dispelling fear. The origin of the statue is a matter of debate. The legends say that it was cast in Ceylon (modern-day Sri Lanka) as far back as the first century, though some scholars argue that it is more likely to have a later Khmer origin. Whatever its origin, the Phra Bang first arrived in Lane Xang (modern-day Laos) in 1359 as a gift from the King of Angkor (Cambodia) to his new son-in-law, the King of Lan Xang. 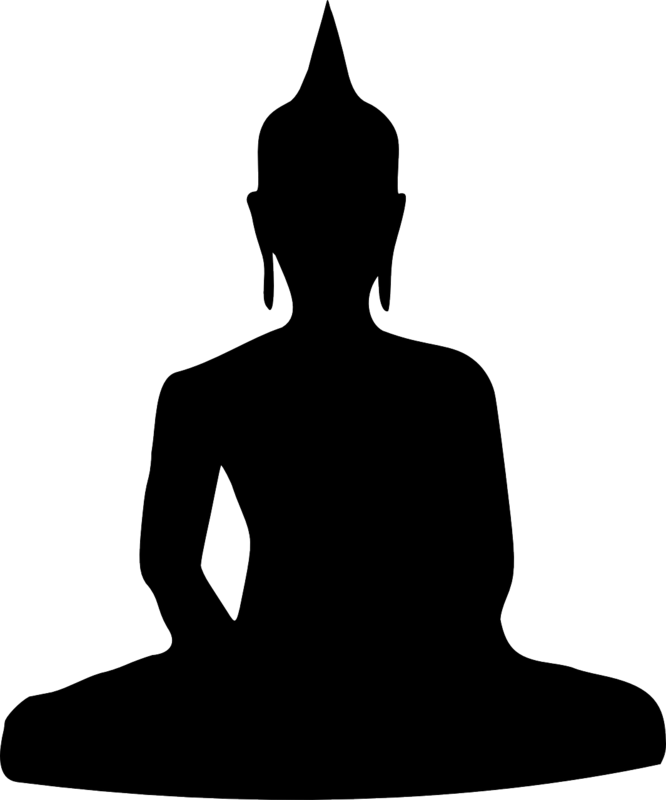 The royal Buddha image was used to spread Theravada Buddhism throughout Laos, and to convey religious legitimacy to the rule of the King of Lane Xang. The Phra Bang Buddha once resided at nearby Wat Mai before moving to a temporary home inside the Royal Palace. Today, the image is carried back to Wat Mai every year during Pimai (the traditional Lao New Year that occurs in April) where it is washed in an ancient ritual. Read More: What does the name of Luang Prabang mean? The Phra Bang Buddha was the royal palladium of Laos, the symbol of the religious authority of the monarchs and the spiritual protector of the kingdom. Legends say that any kingdom that steals the Phra Bang Buddha from Laos would suffer catastrophe. The image has been taken as plunder twice by the Siamese (present-day Thailand), in 1778 and 1867. Both times, Siam suffered terrible political upheaval before returning the Phra Bang Buddha to Laos. Coincidence? Or the power of the Phra Bang Buddha? Whatever the case, these events have only contributed to the myths and legends surrounding the sacred standing Buddha of Luang Prabang. The Haw Phra Bang sits on the grounds of the Haw Kham, the Royal Palace of the last kings of Laos, which today serves as the Luang Prabang National Museum. The Haw Kham, or Royal Palace, was constructed in 1904 when the Kingdom of Laos was a constituent state of French Indochina. The palace was built in an architectural style designed to celebrate the relationship between Laos and France, with a European-style hall topped with traditional Lao eaves and spire. The Royal Palace was home to the Royal Family of Laos until 1975, when the Kingdom of Laos fell to Communist forces. Today, the Royal Palace has been preserved as the Luang Prabang National Museum, complete with exhibits displaying numerous royal artifacts and showing the lives of the Kings of Laos. The palace is remarkably well-preserved. The reception hall is painted not with scenes of national epics nor of royalty, but rather with scenes from simple traditional life in rural Laos. The throne hall, decorated in beautiful glass mosaics, displays the royal throne of Laos, as well as the crown jewels and royal regalia worn by the King and Queen of Laos, as well as dozens of ancient Buddha images collected from ruined temples throughout Laos. In the rear of the palace, visitors walk past the king's library of Buddhist texts as well as the king's bedchamber, dining room, and more. Before leaving the palace, visitors will pass through the hall of the royal secretary, where diplomatic gifts from various countries are displayed. Among these are the keys to the cities of Bangkok and Tokyo, and a moon rock given by the United States to the King of Laos after the Apollo 11 mission. Entrance to the National Museum (the former Royal Palace) and the Haw Phra Bang Temple are included in a ticket to the Luang Prabang National Museum, which costs 30,000 kip and is available for purchase on site. Entrance tickets cost 30,000 kip, and include entrance to the National Museum (Royal Palace) and Haw Phra Bang. The Royal Ballet Theater puts on frequent performances of traditional Lao dance at the Royal Palace. Tickets begin at 100,000 kip. Footwear is not permitted inside the temple or palace. There is a shoe rack where you can leave your shoes while you visit the museum. There are lockers available for free where you can store cameras and bags when you visit the museum. Haw Phra Bang is located in the heart of Luang Prabang Old Town. It’s almost impossible to miss, so much so that it doesn’t even need its own address besides “Royal Palace”.